After agreeing its budget in January, Sutton Cheney Parish Council can demand this from Hinckley and Bosworth Borough Council each year as its precept. What other income is received by the Parish Council? Other income received by the Parish Council is from rental charges from plotholders on its allotment site in Sutton Cheney as well as any grants received for specific projects. We also recieve income through VAT reclaims and bank interest. 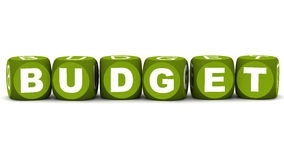 A well-planned budget is an essential tool for controlling the Council’s finances as it provides the Council with the confidence to ensure that sufficient income is available throughout the year to pay for expenditure for services or the capital for planned projects. By monitoring our spending against the budget plan, we can control our finances during the course of the financial year. From all income received, the Parish Council then has to pay for things like insurance, electricity costs for the street lighting, street lighting repairs, grass cutting for Dadlington village green, audit fees and the Parish Clerk’s salary. All these cost items, alongside anticipated expenditure are listed within the Council budget. A well reasearched budget should result in these costs being adequately covered. The Council may also decide to accrue some money over several years to pay for a significant project. An amount of money acting as a contingency is also good practise for the Council to use for unexpected costs or in the event of emergencies.